Find free classified ads for Car parts for sale, vehicle parts for sale, car accessories for sale for sale and to buy in Hereford. Shown below are classifieds for Car parts for sale, vehicle parts for sale, car accessories for sale. Please use search box above to find other items in Car parts for sale, vehicle parts for sale, car accessories for sale Hereford or look at the Hereford for neighboring places in the locality. Give your Lamborghini a custom look with use of rear spoiler. Turn your Mansory Lamborghini Aventador into a performance machine with use of a rear wing spoiler. At Paramount Performance, we provide easy to install rear spoiler and other accessories for cars that give a custom look and improve the performance of the vehicle as well. Find great deals on Homgar for car polish. 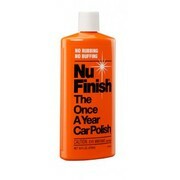 Nu Finish car polish is an effective car polish product that will help to shine and protect your car for a whole year, even after 52 automatic car washes. For more details visit http://www.homgar.com/Nu-Finish-Car-Polish Contact Us Address: FREEPOST, LON12290, Hertfordshire, WD6 1BR Phone:	0844-701-0055 Fax No:	0208-327-0488 Website: www. Hi! Here is set of 4 alloy wheels from my BMW series 3. They are 15 inch with the tyres on.Must see.Price is 60 pounds for the set.Any inspection welcome.CALL ME ON 07521446381.PICK UP ONLY..
United Kingdom free classified ads for Car parts for sale, vehicle parts for sale, car accessories for sale, Hereford, Car parts for sale, vehicle parts for sale, car accessories for sale free ads Hereford, Car parts for sale, vehicle parts for sale, car accessories for sale for sale Hereford, Car parts for sale, vehicle parts for sale, car accessories for sale to buy in Hereford. This page is a listing of classified ads for Car parts for sale, vehicle parts for sale, car accessories for sale category in Hereford. This section includes classifieds for sale and to buy in Hereford. Car parts for sale, vehicle parts for sale, car accessories for sale Hereford ads Hereford, Car parts for sale, vehicle parts for sale, car accessories for sale classifieds Hereford, Car parts for sale, vehicle parts for sale, car accessories for sale free ads Hereford, ads for sale Hereford, ads to buy Hereford, FREEADS in UK. Find here ads for sale, to buy and rent in Hereford. Goods for sale in Hereford, vehicles for sale in Hereford, Hereford real estate for sale, Hereford property for sale, property for rent in Hereford, business ads in Hereford, Hereford business classifieds, services in Hereford, Hereford services ads, jobs in Hereford, pets for sale in Hereford, Hereford dating, Hereford cars for sale.